This is a 1971 ad for a Warner & Swasey Electronic Products Division! The size of the ad is approximately 8.5x11inches. 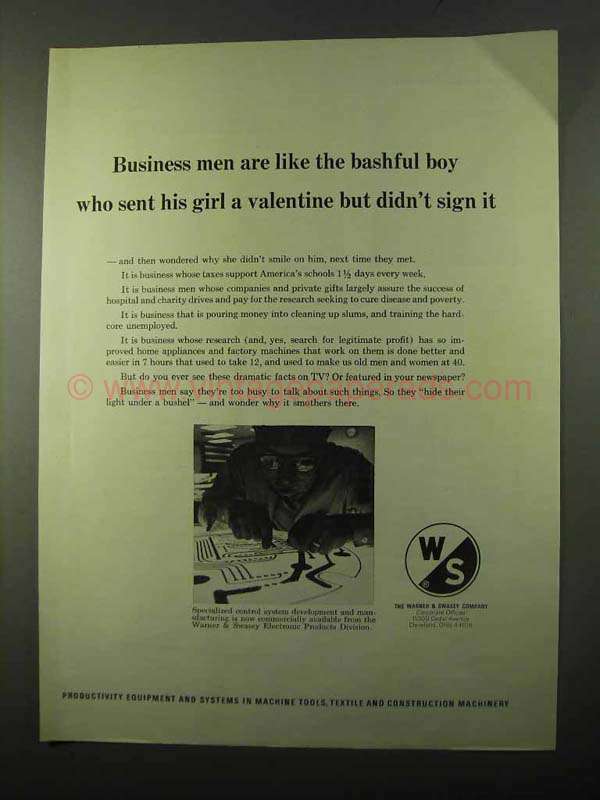 The caption for this ad is 'Business men are like the bashful boy who sent his girl a valentine but didn't sign it' The ad is in good overall condition, with a 2-inch crease in the upper right. This vintage ad would look great framed and displayed! Add it to your collection today!